This topic contains 0 replies, has 1 voice, and was last updated by Martin 3 weeks, 4 days ago. Having looked at the 935 JLP2 previously, here is the next step in the evolution that took the John Paul team to one of the ultimate 935 incarnations, the JLP4. 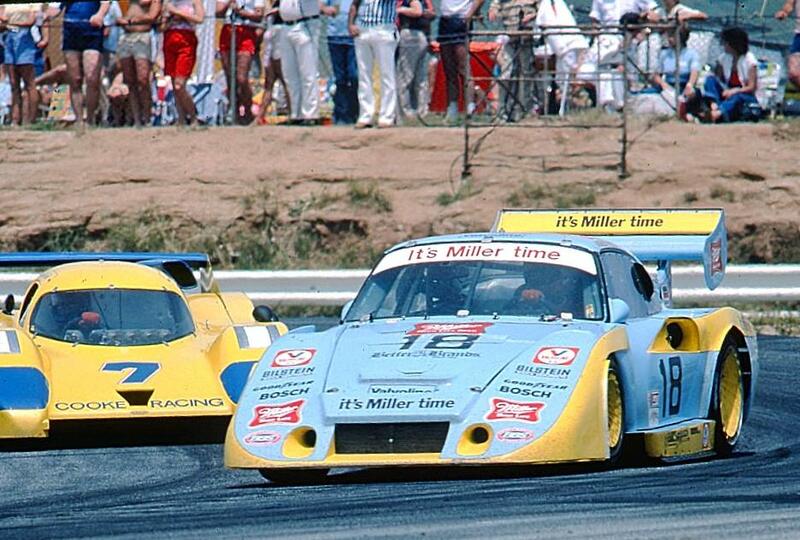 This JLP3, seen with a Lola at the 1982 Riverside Six Hours (where the JLP2 also competed), is unusually carrying Miller sponsorship while still in the JLP Racing colours, immediately prior to adopting their red/white. Advertising had presumably become necessary due to their previous sources of backing having been curtailed and on this occasion it started from 3rd in the hands of John Paul Sr/Jr. While it failed to finish they were still classified 38th out of the 52 car field. Constructed in 1981 and looking similar to the previous JLP2 until it acquired the nose seen above from this race, the JLP3 took the same route as some of the other US-built 935’s and the Kremer 935K4 by employing a tubular frame, only using an original roof and A/B-pillar area (from an old 911T) as the regulations required. Built by GAACO, who created the Lola-influenced monocoque 935 L1, it gave JP Sr the IMSA title in 1981 and the Daytona 24H victory in 1982 and was more successful than the very fast and aerodynamically advanced Fabcar-built 935 JLP4, the last of the JLP line.